Take a private tour of Sarajevo, including the tunnel that helped citizens weather the longest siege in modern history. Pause for pictures at Stari Most, Mostar’s breathtaking stone bridge. Hike up Bjelašnica for incredible views of Bosnia’s Rakitnica river valley. 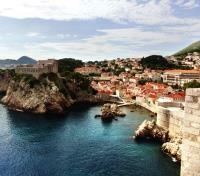 Tour beautiful Dubrovnik and the scenic Konavle on Croatia’s Adriatic coast. It doesn’t take long to appreciate why Bosnia and Herzegovina and Croatia have been fought over for centuries by foreign powers. The Greeks, Romans, Ottomans, Soviets, and others have all laid claim to these ruggedly beautiful nations at varying points in history, and while each has left its mark on the local culture, both countries have embraced their independence with fierce pride. Alpine forests, stunning architecture, Adriatic charm and more await curious travelers on this trip. Join us and discover for yourself what you never knew you were missing. A welcome package with a city map and any other touristic information that we deem you may find useful will be waiting for you upon your arrival. 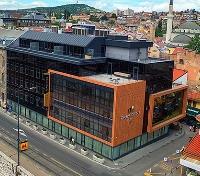 Hotel President (4*) is located in the very center of the old city of Sarajevo, where you can't help but feel the unique combination of cultures and civilizations that have shaped Sarajevo into what it is today. 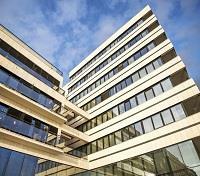 Several core attractions are all within the immediate vicinity of the hotel, including the Begova and Caerva Mosque, the Sarajevo City Hall, the Latin Bridge, and the Cathedral of Sarajevo within walking distance. Enjoy comfortable rooms with functional, modern design, providing everything you need for a relaxing stay. 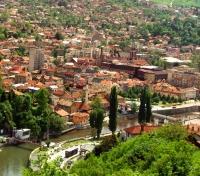 Meet your guide and depart on a private tour of Sarajevo including a visit to the Sarajevo War Tunnel. A walk through Sarajevo is a walk through its past. 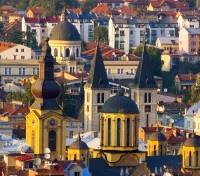 With your guide, you will explore Bascarsija, the most famous market-place, known for the various authentic shops and workshops where craftsmen make handmade pottery, metalwork, and jewelry. You will also visit Morića Han - a caravanserai which once provided accommodation, meals, and storage for merchants and travelers. You will stroll along the Miljacka River and see the bridges built during Ottoman times. Then your guide and driver will take you to visit Sarajevo War Tunnel, the best-kept secret of the war in Bosnia. The tunnel is also unique as it represents the survival by a resilient people of the longest siege of a city in modern history. Entrance fee included. Meet your guide for a private hiking adventure in the Bjelasnica Mountain, one of the most beautiful mountains in Bosnia and Herzegovina. Your first stop is in the village of Umoljani, across Bjelasnica mountain, where you will enjoy a quick breakfast. 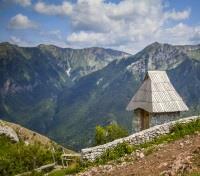 During your adventure, you will hike to the village of Lukomir, the highest, permanent (inhabited whole year) and most isolated village in Bosnia and Herzegovina. Here you will have some time to relax, enjoy lunch and take in the outstanding view of Rakitnica Canyon that drops down more than 2625 feet! Your tour includes private guide, Jeep, and meals (breakfast and lunch). Please note you will be hiking 2-3 hours on mostly flat paths, classed as easy to medium in the level of difficulty. This morning meet your driver for a private transfer to Dubrovnik. On your way, stop at Mostar and meet your guide for a lovely private walking tour of the Old Town of Mostar. 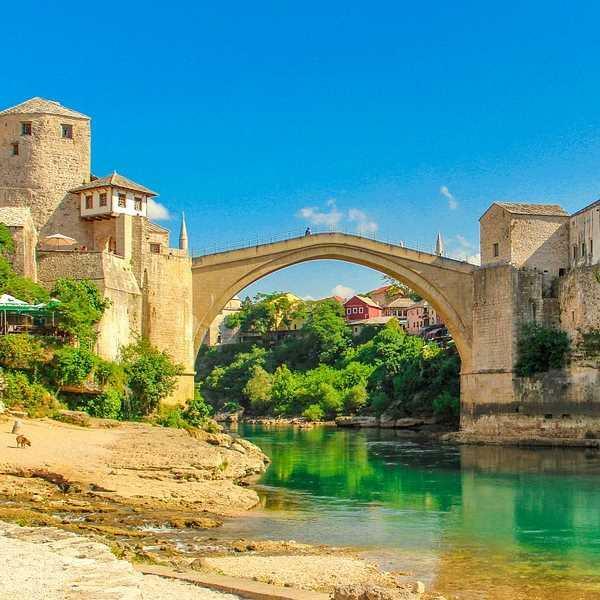 Walk along the Old Bridge and to Mostar’s cobbled Ottoman Quarter, which houses the city’s artists and craftsmen, as well as beautiful 16th-century mosques, museums, and cafes. The old town (carsija) that developed around the new stone bridge (Stari most) was completed by Dalmatian craftsmen, in 1566. This oriental part of the city still preserves its old tradition of highly skilled craftsmen in metal engraving, painting, and rug-weaving. During your tour, you will also visit the Koski Mehmed Pasa Mosque from 1671 and the Muslibegovic House one of the most representative monuments of the Ottoman residential architecture. 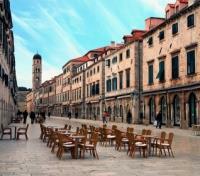 Spend some time on your own before your transfer to Dubrovnik.